1.5 story home on level corner lot. 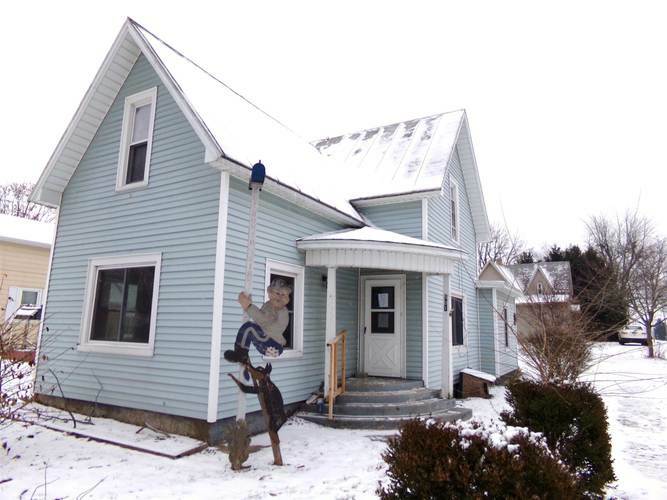 Home features 3 bedrooms, 2 baths, covered porch, basement, natural gas heat and central air. Out building is finished for a man cave or nice workshop. Home is close to town park.